Analysis: Campbell led Jacksonville in sacks (10.5) during the 2018 season and also racked up 72 tackles (53 solo) and one forced fumble across 16 games. The 32-year-old is one of the Jaguars' most reliable defensive players and a team captain. Now having put together consecutive Pro Bowl seasons, Campbell will work to extend that streak into 2019. 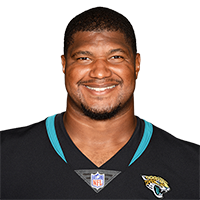 Analysis: Campbell finished 2018 as the Jaguars leader in the sack column (10.5) and had 72 tackles (53 solo) and one forced fumble. The 32-year-old represents the heart and soul of Jacksonville's defensive front, and has been its sack leader in both his years with the team. The Jaguars could be rid of Campbell's $14.5 million cap hit for 2019 with only $3 million in dead cap, per Spotrac.com, but given his level of play and continued leadership role, the team seems more likely to free up money elsewhere. Analysis: Campbell was able to strip RB Brandon Bolden and recover the loose ball in the third quarter, but Bolden was initially ruled down by contact until the play was challenged and the ruling reversed. The 32-year-old has nine sacks entering the final week of the regular season and could reach double digits for the second time in his career in Week 17 against the Texans. Analysis: Campbell had two tackles for loss and three quarterback hits in one of his more active games of the season, as he tied for the team lead in tackles. The 32-year-old played 52 of 68 defensive snaps and should continue in his usual starting role at defensive end in Week 16 against the Dolphins. Analysis: Campbell also added a pass defensed and remains tied for the team lead in sacks at seven with Yannick Ngakoue. Campbell has been limited at practice this week with an ankle injury, but he was similarly limited last week yet was able to play his usual snap share in Sunday's game. The 32-year-old appears on track to be available for Thursday's game at Tennessee. Analysis: Campbell came up with a third-down sack in the fourth quarter to end a Steelers' drive but was otherwise fairly quiet in the second half. The 32-year-old now has 46 tackles (34 solo) and six sacks through 10 games as the Jaguars are set to take on the Bills next week. Analysis: Campbell has now set a season high for tackles in each of the last three games, as he has 22 tackles (14 solo) and two sacks in that span. Now at the halfway point of the season and heading into the Jaguars' bye week, the 32-year-old has 39 tackles (28 solo) and five sacks. Campbell (shoulder) was a full participant in Thursday's practice session, Michael DiRocco of ESPN.com reports. Analysis: Campbell injured his shoulder during Sunday's loss to the Texans and was limited on Wednesday. His full participation seems to indicate that he'll be able to play his usual role in this week's matchup with Philadelphia. Campbell (shoulder) was a limited participant in Wednesday's practice. Analysis: Campbell suffered a shoulder stinger during Sunday's loss to the Texans and should be considered questionable to suit up against the Eagles in Week 8. If Campbell remains sidelined for any amount of time, expect Taven Bryan to enter Jacksonville's starting defensive lineup. Campbell is questionable to return to Sunday's game against the Texans due to a shoulder stinger, John Reid of The Florida Times-Union reports. Analysis: Campbell was questionable to suit up Sunday due to a ribs issue, but exited the Week 7 contest due to an apparently unrelated stinger. Expect an update on the defensive end's health after the conclusion of Sunday's game. Campbell (ribs) is listed as active for Sunday's game against the Texans. Analysis: Campbell was able to practice in a limited fashion late in the week, leading to his Week 7 availability. Taven Bryan and Dante Fowler will provide depth at defensive end. Campbell (ribs) is listed as questionable for Sunday's game against the Texans. Analysis: Campbell started the week not practicing but progressed to a limited participant to earn the questionable tag. Dawuane Smoot and Taven Bryan would likely see increased snaps on the defensive line if Campbell is limited or unable to suit up Sunday. Campbell (ribs) did not practice Wednesday. Analysis: Campbell exited Sunday's loss to the Cowboys with a ribs injury and should be considered questionable for Jacksonville's matchup against the Texans in Week 7. If Campbell is sidelined for any amount of time, expect Taven Bryan and Dawuane Smoot to see increased defensive snaps. Campbell (ribs) logged six tackles (four solo) and one sack in Sunday's 40-7 loss to the Cowboys. Analysis: Campbell is up to four sacks on the season after a rough outing by the Jaguars defense. To make matters worse, the 6-8 defensive lineman left the game with a ribs injury. Up next for the Jaguars is a home matchup against a porous Texans offensive line, so if Campbell can go, he will have a nice matchup lined up in Week 7. Campbell left Sunday's game against the Cowboys with a rib injury, Tad Dickman of the Jaguars' official site reports. Analysis: The loss of Campbell would be huge for the Jaguar defense. Taven Bryan will see increased snaps in the meantime. Campbell (ankle) won't carry an injury designation into Sunday's game against the Cowboys. Analysis: Campbell began the week as a limited participant but was able to avoid the questionable tag with a full practice Friday. 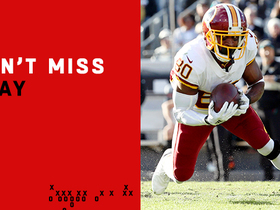 The 32-year-old should assume his usual workload against Dallas' run-heavy offense. Campbell was a limited participant at Wednesday's session due to an apparent ankle injury. Analysis: The extent of Campbell's ankle injury is unclear, but the fact that he was limited suggests caution should be exercised. How Campbell holds up later this week should help bring more clarity to the situation. In the event that he misses Sunday's game, look for rookie Taven Bryan to step in and start at defensive end. Campbell recorded five tackles (all solo), including two sacks, in Sunday's loss to the Titans. Analysis: Campbell dealt with an eye injury during the week, but he didn't seem fazed by the issue Sunday. He's been a dominant pass rusher in his time with the Jaguars and hasn't slowed down in 2018. He'll have a chance to continue stacking success when the Jaguars face off against the Jets in Week 4. Campbell (eye) wasn't listed on Wednesday's injury report. Analysis: Campbell was poked in the eye during Sunday's win over the Patriots, but seems to be good to go after visiting with the doctor Wednesday. Expect him to resume his usual workload against the Titans in Week 3. 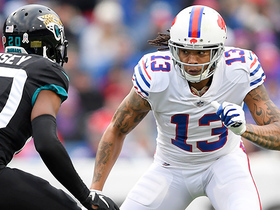 Campbell will visit the doctor Wednesday after getting poked in the eye during Sunday's win over the Patriots, Phillip Heilman of The Florida Times-Union reports. Analysis: Campbell started the day with a knee injury but had his usual workload Sunday, playing 42 of 61 defensive snaps and recording one assisted tackle. The 32-year-old was poked in the eye and deemed questionable to return in the third quarter, although he was ultimately able to come back into the game. Campbell (knee) is expected to suit up against the Patriots on Sunday. Analysis: Campbell was a late addition to Jacksonville's injury report this week due to a knee injury but he appears to have gotten healthy. All signs point toward the star defensive lineman suiting up for Sunday's game against the Patriots. The Jaguars added Campbell to their injury report ahead of Sunday's game against the Patriots, listing him as questionable with a knee injury. Campbell recorded three tackles, including a sack, in Sunday's 20-15 win over the Giants. 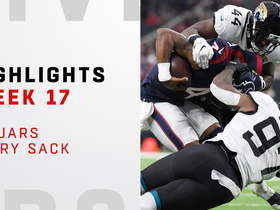 Analysis: Campbell is coming off the best season of his career, which saw him record a personal-best 14.5 sacks for a dominant Jaguars defense. At 32 years old, Campbell shows no signs of slowing down and looks to be a force once again in 2018. He and the rest of the Jacksonville defense will look to stifle Tom Brady and the Patriots in Week 2. Campbell (calf) returned to practice Saturday, John Reid of The Florida Times-Union reports. Analysis: Campbell has been battling the calf injury for the last week-plus, but after being absent for the last few practices he'll be back on the field Saturday. It doesn't seem like a serious injury, but the Jaguars will likely continue to closely monitor his health throughout the preseason. Campbell did not participate in Monday's practice due to a calf injury, Michael DiRocco of ESPN.com reports. Analysis: Campbell was able to participate in practice Sunday, but he's yet to fully recover from a calf injury sustained last week. That Campbell was able to previously practice is a good sign, and injuries haven't been a concern in the past for the star defensive end, who hasn't missed a game in the last three seasons. Still, Campbell's health will be worth monitoring as he enters his age-32 season. Campbell (calf) returned to practice Friday, John Oehser of the Jaguars' official site reports. Analysis: The 31-year-old missed just two days of practice due to this injury. Campbell's health will be one to monitor as with anyone his age, but he has completed three consecutive seasons without missing a game and just posted a career-high 14.5 sacks in 2017. Campbell is nursing a calf injury, Mike Kaye of FirstCoastNews.com reports. Analysis: Campbell was a vital part of the Jags' second-ranked defense in 2017, hoisting himself into elite status with 14.5 sacks in 16 games. Jacksonville won't want to risk anything with Campbell, so he'll likely be limited throughout training camp and could sit out of the first preseason game against the Saints if he's still showing symptoms. Campbell will be 32 years old when Week 1 kicks off, so fantasy owners should likely expect these hiccups to become more frequent. Campbell accrued five solo tackles, two sacks and one pass breakup Sunday against the Texans. Analysis: After a poor performance of just one tackle against the Seahawks in Week 14, Campbell bounced back the way most believed he could. The veteran defensive end now has 14.5 sacks this season, continuing to dismantle his previous career high of nine sacks in 2013. Campbell played 56 of 69 defensive snaps against the Colts on Sunday, posting four solo tackles and one sack. 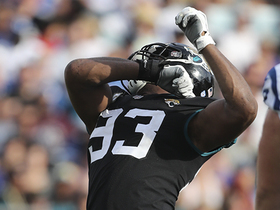 Analysis: Campbell continues to assert himself on the Jags defensive line, as he has 12.5 sacks through 12 games. The veteran defensive lineman will have another great opportunity to break through the Seahawks porous offensive front in Week 14. Campbell posted three solo tackles and one fumble recovery Sunday against the Cardinals. Analysis: Campbell played 57 of 73 possible defensive snaps, leading all Jags' defensive linemen. Since exploding for 11 sacks through his first eight games this season, Campbell has regressed to just a half sack in his last three matchups. Without his sack count, Campbell is quite limited in fantasy value. Campbell had two tackles (one solo), a half-sack and a forced fumble in Sunday's victory over the Browns. Analysis: Campbell remains tied atop the league with Demarcus Lawrence at 11.5 sacks after seeing his six-game sack streak broken last week. 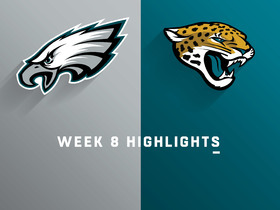 The Jaguars have another favorable matchup against the Carson Palmer-less Cardinals in Week 12. Campbell recorded his 11th sack of the season in Sunday's 23-7 win over the Bengals. Analysis: Campbell has at least a half-sack in each of the last six games, and has been held without a sack in only one game this season. 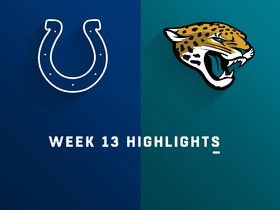 The NFL's sack leader had a season-low two tackles (both solo) Sunday, but that was in large part due the the sheer dominance of the Jaguars defense, which was on the field for only 37 plays. 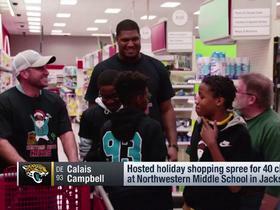 Jacksonville Jaguars defensive end Calais Campbell hosts a holiday shopping spree for 40 middle school children in Jacksonville. 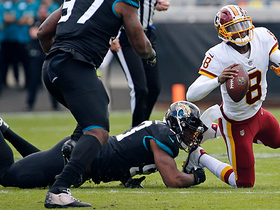 Jacksonville Jaguars defensive lineman Calais Campbell sacks Washington Redskins quarterback Josh Johnson for a loss of 10 yards. 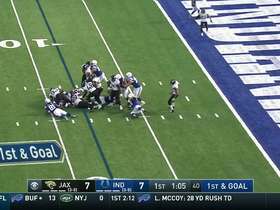 Jacksonville Jaguars defensive lineman Calais Campbell stuffs running back Nyheim Hines in redzone.